On March 6, Fraport AG inaugurated a €6 million training center for the Fraport Aviation Academy at Ljubljana Airport (LJU) in Slovenia. This new training facility will allow the Fraport Group to expand its international training activities to meet the growing demand from external and the internal customers – particularly in the areas of firefighting, emergency services, crisis management, ground handling. Established in 2016, the Academy is now well positioned to serve the international training market and expects to receive more than 500 participants at the training center during 2019. The Fraport Aviation Academy Training Center features almost 1,500 square meters of space for classrooms, simulators and other specialized equipment – plus outdoor areas for “live” practical training. This will also increase training offerings for staff of the Fraport Group, which is now active at some 30 airports around the globe. “More than ever, the aviation industry needs skilled staff to meet air traffic growth and other challenges. Our new Fraport Aviation Academy Training Center takes us to the next level in delivering professional training to external clients as well as our Group employees worldwide,” stated Michael Müller, Fraport AG’s executive board member and executive director labor relations. The Group’s Slovenian subsidary has been mandated to develop the Aviation Academy business. “The new training facility represents an investment in growing and strengthening Fraport Slovenija’s core business and Ljubljana Airport,” explained Zmago Skobir, managing director of Fraport Slovenija. The Fraport Aviation Academy team already boasts over 100 professionals from the Fraport Group and key strategic partners, who together create a comprehensive learning program. 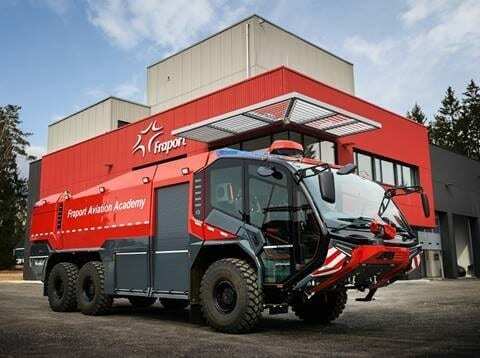 The latest partners to be attracted to the Fraport Aviation Academy are Rosenbauer, a renowned manufacturer of firefighting equipment, and the Southern California Safety Institute (SCSI) – the a leading provider of accident investigation and safety training services. They join the Academy’s partners from the Fraport Group, including the FTC Frankfurt fire training center and Fraport Twin Star in Bulgaria. Slovenian partners include the Aircraft Accident and Incident Investigation Board of Slovene Armed Forces (Ministry of Defence), Adria Flight School, Slovenia Control (Slovenia’s air traffic control organization), the University of Maribor’s Faculty of Organizational Sciences, and Slovenia’s Training Centre for Civil Protection and Disaster Relief.